We did it! 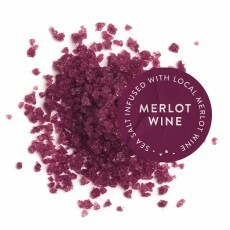 After months and months perfecting this blend, our Merlot Wine sea salt blend has arrived. Made with a fabled Long Island Merlot wine from the award-winning Wölffer Estate Vineyards, just down the road in Sagaponack, and our 100% Pure Amagansett Sea Salt.